In the early 1930s, a Cleveland dentist named Weston A. 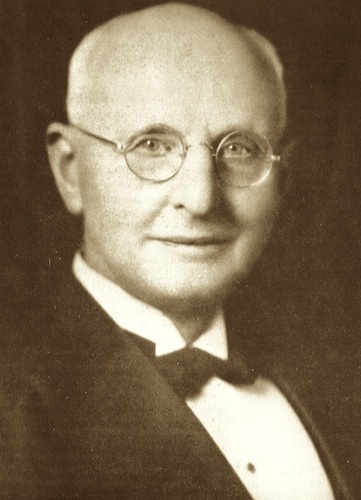 Price (1870-1948) began a series of unique investigations. For over ten years, he traveled to isolated parts of the globe to study the health of populations untouched by western civilization. His goal was to discover the factors responsible for good dental health. His studies revealed that dental caries and deformed dental arches resulting in crowded, crooked teeth are the result of nutritional deficiencies, not inherited genetic defects. The groups Price studied included sequestered villages in Switzerland, Gaelic communities in the Outer Hebrides, indigenous peoples of North and South America, Melanesian and Polynesian South Sea Islanders, African tribes, Australian Aborigines and New Zealand Maori. Wherever he went, Dr. Price found that beautiful straight teeth, freedom from decay, good physiques, resistance to disease and fine characters were typical of native groups on their traditional diets, rich in essential nutrients.When Dr. Price analyzed the foods used by isolated peoples he found that, in comparison to the American diet of his day, they provided at least four times the water-soluble vitamins, calcium and other minerals, and at least TEN times the fat-soluble vitamins, from animal foods such as butter, fish eggs, shellfish, organ meats, eggs and animal fats–the very cholesterol-rich foods now shunned by the American public as unhealthful. These healthy traditional peoples knew instinctively what scientists of Dr. Price’s day had recently discovered–that these fat-soluble vitamins, vitamins A and D, were vital to health because they acted as catalysts to mineral absorption and protein utilization. Without them, we cannot absorb minerals, no matter how abundant they may be in our food. Dr. Price discovered an additional fat-soluble nutrient, which he labeled Activator X, that is present in fish livers and shellfish, and organ meats and butter from cows eating rapidly growing green grass in the Spring and Fall. All primitive groups had a source of Activator X, now thought to be vitamin K2, in their diets.The isolated groups Dr. Price investigated understood the importance of preconceptual nutrition for both parents. Many tribes required a period of special feeding before conception, in which nutrient-dense animal foods were given to young men and women. These same foods were considered important for pregnant and lactating women and growing children. Price discovered them to be particularly rich in minerals and in the fat-soluble activators found only in animal fats.